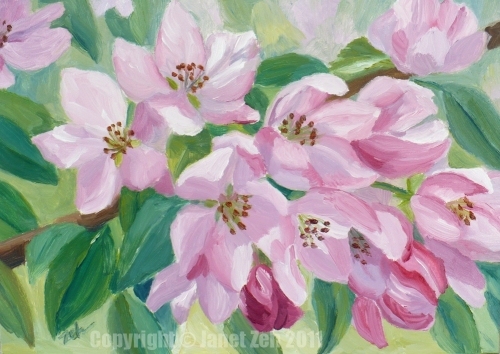 Delicate pink blossoms are inspired by the crab apple tree in front of my studio in this 5"x7" oil painting on panel. Of course, It's early March and the snow is still on the ground so my tree is not yet in bloom. But the snow has melted down to less than a foot and the ground is visible in some places. Spring seems just around the corner! 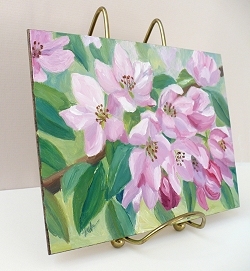 Check my Etsy shop for my flower paintings for sale. This is a lovely painting Zeh! Thanks Dipti. Painting this helps me think of Spring which is coming soon here.